"with a heart as big as the heavens!" Heavenly Mikis would like to Welcome and introduce you this amazing breed. Thank you for taking the time to research the precious; Mi-Ki's! By stopping by our site, we hope to give you more helpful information regarding the breed, what a mi-ki is, our standards for raising them, and be a resource for helping you choose your new family member as well as being here for your future support. 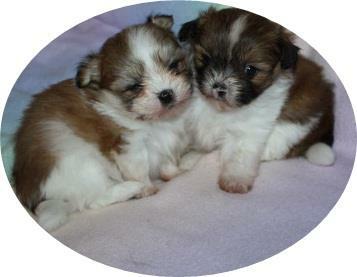 We believe you will be very pleased with a Heavenly Miki, these babies are social, calm and loving. They are real cuddlers and Super Sweet! As a breeder we want you as pleased with your Miki as we are with ours! We cannot say enough wonderful things about them! 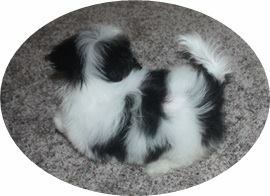 The Mi-Ki (pronounced me-key), also spelled miki, is a rare toy breed. Anyone who owns a Mi-Ki knows how blessed they are to have one of these precious and darling dogs in their lives. They are so sweet, owners just cherish them. There is just no end to the love and joy these dogs give. Mi-Kis are devoted and loyal companions for all ages. They love to sit on the couch with you, cuddling or napping and also enjoy traveling. They are compatible and adapt well to their new owners lives, whether it be an apartment, a condo or the country life. They are calm, not hyper with almost cat like agility and mannerisms. They are playful little creatures but do not require a big amount of excercise. They are great with people of all ages. They are just plain irristible! Mi-Ki's love children, adults and other pets. They are very sweet natured, docile, friendly and playful, and have a lovely expression with expressive eyes. They are not yappy but have a gentle quiet demeanor. with almost catlike agility and mannerisms. They are among the gentlest mannered of all toy breeds. They are so affectionate and love being near you. They freely give out puppy kisses. Many mikis have made excellent therapy dogs due to their quiet personalities, their extreme intelligence, and the fact that they love everyone. I have provided puppies to children in wheel chairs-the puppy and the child fell in love with each other and are doing great. Mi-kis can be litter box or potty pad trained, and also outdoor trained. Our puppies will be well on their way to being potty pad trained when they go to their new homes. 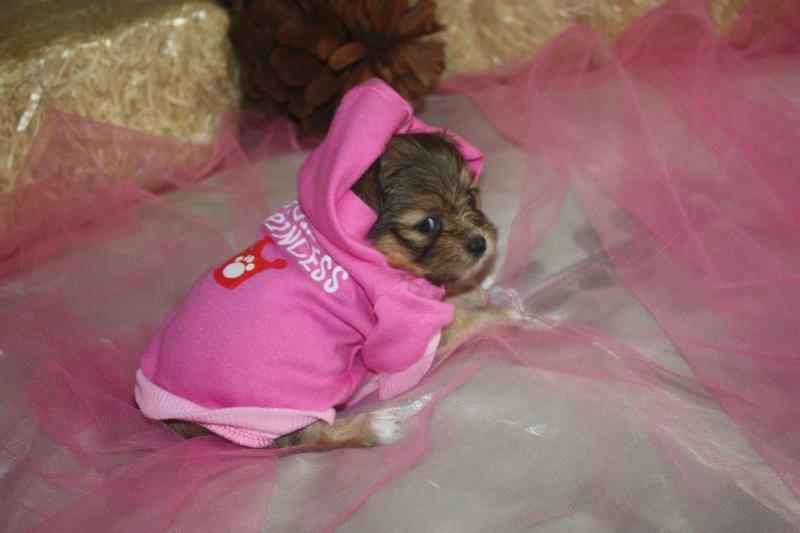 MiKis come in all colors with two coat types, smooth and long coat. We love the fact that the Mi-ki breed actually has rooted hair instead of fur, they do not have dander so they do not smell like typical dogs. They are nonshedders and are hypoallergenic. Mi-ki's carry two ear settings, dropped or erect. 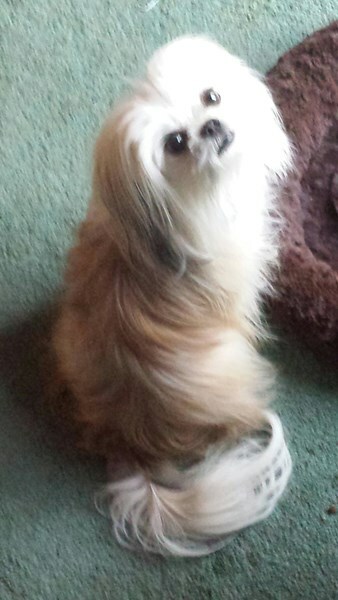 Mikis share a common ancestory with the Maltese, papillon and the Japanese Chin. Mikis are healthy dogs with no known health problems specific to the breed. Their average weight is 5-8 pounds but can go up to ten, with some as small as 3-4 pds. ﻿﻿Mi-kis are registered as a rare breed and shown in rare breed classes. Mi-kis are registered with several well known kennel clubs. They have a class for this toy breed - and are shown just like any other breed of dog. 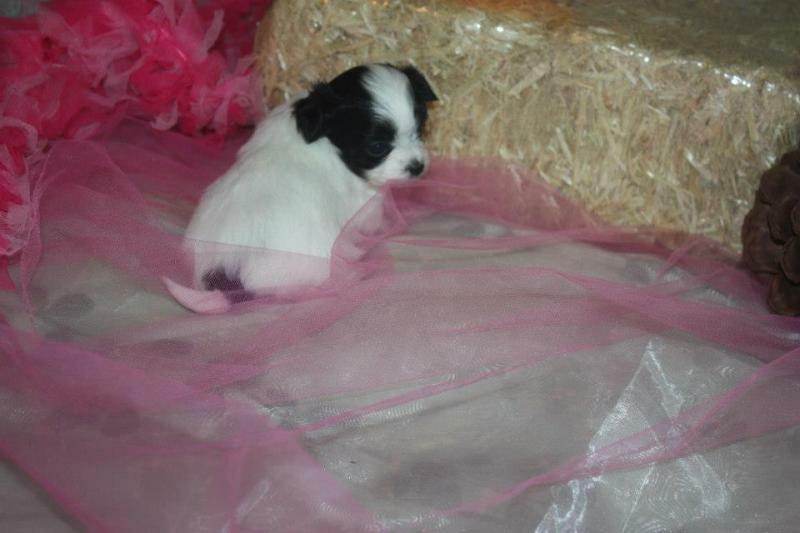 Buyer Beware of low price puppies called mikis! Do your research as they could be imitations. Id rather have a higher priced Genuine Mi-ki, like mine and others, than an imitation low priced puppy. Be aware-There are imitations out there! I might add, you do not have to pay a fortune to have a purebred genuine miki either.. research!! Yes, There are good mi-ki breeders out there who are honest and raise genuine purebred mi-kis without the outrageous prices. They are quality healthy pups which come from very nice lines, where the pups are given the best care and raised with alot of love and attention. We began: by purchasing healthy, quality puppies from excellent champion bloodlines for future breeding but also as our pets and more importantly` family members. We were very cautious on where we purchased and which puppies we chose. Also very important was socialized loving babies with great temperaments because they were going to be "our babies. After three years of reseaching the breed-we fell in love with the miki. We sought out and questioned breeders until we found our perfect baby. We chose-or rather she stole our hearts-and thus began our mi-ki journey. Regarding our program: We study the pedigree and the matings are planned. Our Mi-kis are from National and International Champion Bloodlines. The pedigree's can be be traced back to the original bloodlines to the most titled mi-kis in the Mi-ki breed history. Though our mi-kis love being inside with us, they also love their outside time of running playing and chasing. They have a large play area outside as well as lots of toys, beds, etc inside. We are a small breeder of the most wonderful breed! They watch tv with us, run, play and snuggle. 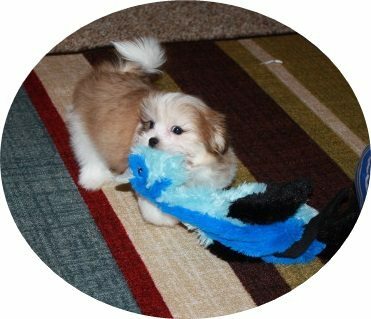 Our puppies are accustomed to regular home noises, grandkids and visitors as well as other pets. What a joy they are. We believe you will love, love, LOVE a mi-ki! We do! We care for each and see that he/she gets the best possible when it comes to health, food, attention, socialization, stimulation and pre-spoiling, our grandchildren love coming to play with our dogs and puppies. They love to run with the older dogs and hold the babies under our supervision. This is great stimulation and socialization for the puppies. Our puppies are held, cuddled and given attention daily, and even rocked in our rocking chair by us. They love it! And So do We! We want our puppies to be Super Cuddly and Very Social. We want each to be a very special puppy for you as Each puppy is a unique bundle of love. They give us their best and we want to do the same for them. they love unconditionally and are as close to a perfect pet as you can ever imagine! They quickly steal your heart and bring you daily smiles and kisses. Whether having a good day or a bad day, a mi-ki kiss or cuddle will make you smile! We provide daily supplements to help ensure strong immune systems as well as beautiful healthy skin and coats. We feed high quality food, treats, and even make some of our own. Mi-ki's are truly delightful as well as fun to own and just great companionship! We enjoy our puppies and dogs, and are blessed to have them as part of our family and we believe you will be blessed too! Have Fun shopping! We hope you find your very special furbaby! Now that you've researched the Mi-Ki breed, please feel free to call or email for more information or to set up an appointment! Copyright 2019 Heavenly Mi-Kis. All rights reserved.